Game Time Budgeting cares about your financial fitness. We empower you with simple, effective, financial management strategies that assist in developing behaviors to improve your short-term and long-term financial outcomes. Our goal - help you with the proper mindset for saving more, spending wisely, and reducing financial stress. 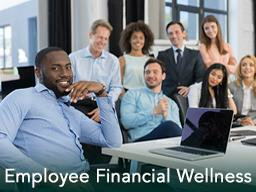 Al provided his financial fitness seminar to employees at Toyota and every participant was thoroughly impressed. Al was energetic, informative and kept everyone engaged. He provided solid methods of remaining debt free and his coaching techniques were excellent. Al is a professional in his field and his knowledge of the tools needed to successfully provide a debt-free lifestyle were clearly explained and outlined during his presentation. Al Riddick is an exceptional speaker and motivator. After hearing Al speak, I realized that I needed to do more to enhance my financial future. Regardless of your financial acumen, Al’s concepts are for everyone. People are scared to discuss this topic, but the only way to improve your financial state is to address it head on. Al’s presentation motivated many that attended his session to take control of their financial affairs.